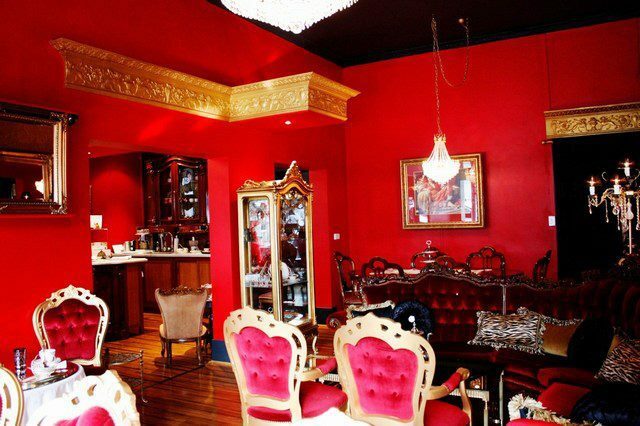 Mámor Chocolates is a richly decorated tea salon where you go for highly indulgent and also extraordinarily yummy high teas. It has been reviewed a couple of times on WeekendNotes and we all love it to bits. 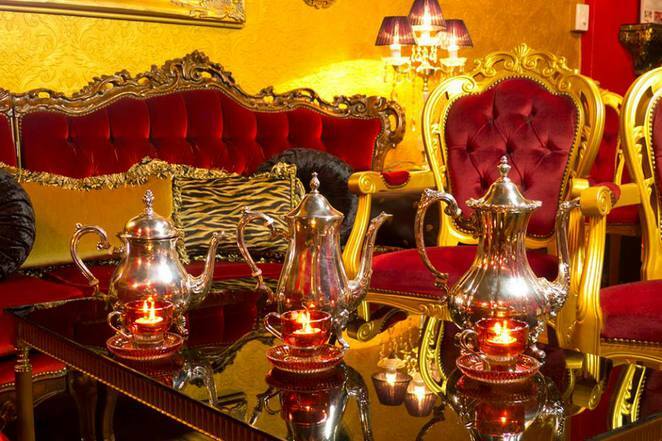 It is flash and fancy with plush velvet seating, chandeliers and beautiful table settings set with the finest china and nappery. But it is also warm and friendly with hosts Dr Hanna Frederick and her husband Howard taking the time out to ensure that everyone who enters their plush domain is entertained and comfortable. They are the perfect hosts. 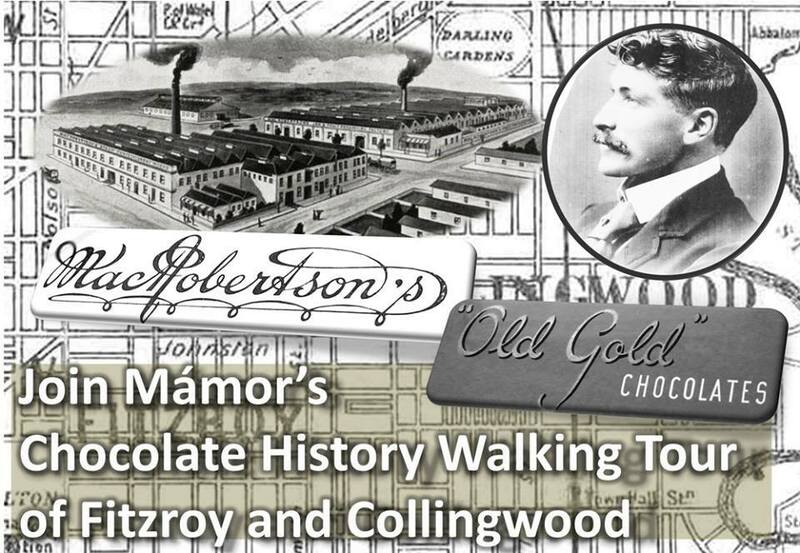 The couple also run chocolate history tours of their local Fitzroy/Collingwood area. They have a special one coming up for forthcoming History Week. As well as being a chocolatier, Howard Frederick is also a professor at Deakin with a particular interest in Victorian-era entrepreneurs,. So the couple are well equipped to lead you around their local streets which were once the domain of Sir Macpherson Robertson (1859-1945) the Chocolate King who gave Australia Cherry Ripe bars and Freddo frogs and who started Macrobertson's Chocolates. He was quite a character in his white suits. A bit of a Melbourne Willy Wonka. 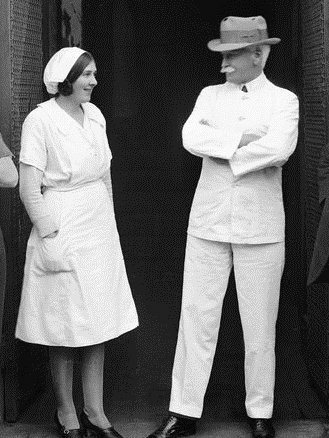 In the 1920s, his huge white factory employed 3000 workers all dressed in white. It was visited by little white vans which zoomed in and out although thankfully they ferried more than white chocolate. Sir Douglas Mawson named part of the Antarctic, Mac Robertson Land, in honour of the entrepreneur who funded his expedition and you don't get a much whiter place than the Antarctic. Mac Robertson's company continued after his death in 1945 and moved to Ringwood in the 1960s before being taken over by the Cadburys. But there is much more to Mac as you will learn. 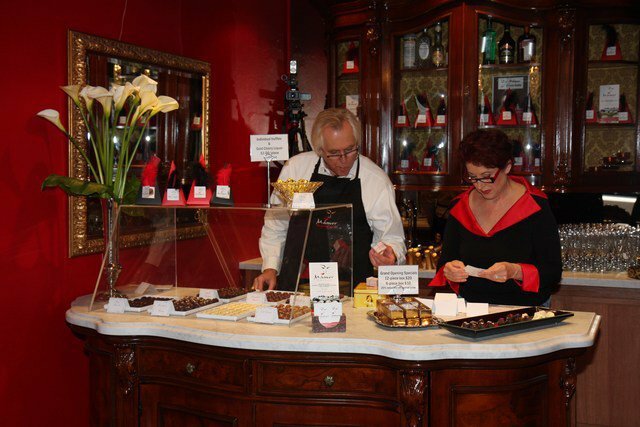 On this tour and you will also get the chance to walk by other famous chocolate spots in the neighbourhood, some down some interesting narrow lanes. The Tour finishes at Mamor for a chocolate tasting & high tea because talking about chocolate awakens the tastebuds and only real chocolate will suffice. While this tour is especially for History Week, these tours run throughout the year. To book click here. Note - walking length is approx 2.3 km. When: Sunday the 20th of October, 1.50pm for a 2pm start. 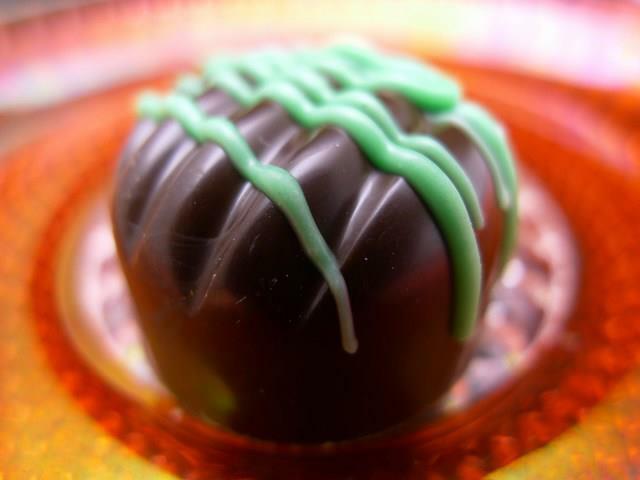 Duration is approximately 2 hours plus 30 minute Chocolate Tasting High Tea. 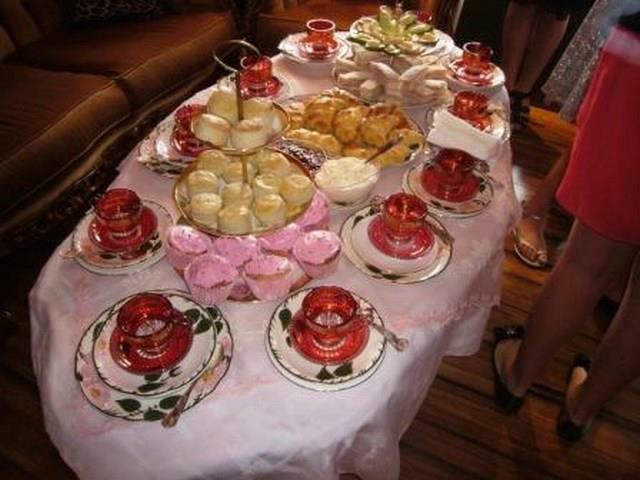 Cost: Individuals are $55 including High Tea, adults or children. No children under 12 years old. Groups of 6 receive a $10 discount.